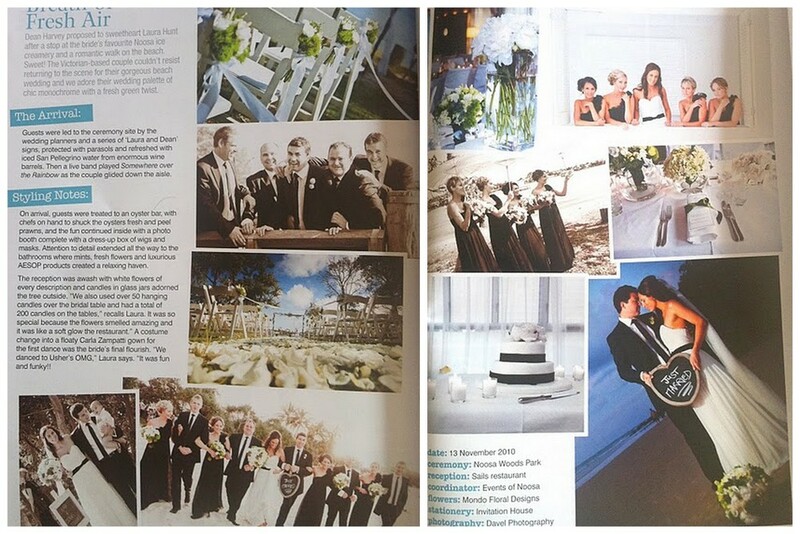 One of our gorgeous brides (& photo) is featured in the Spring 2011 issue of Queensland Brides magazine in the Trend Alert section ‘The Reception Dress’ With Kate Middleton, Kate Moss & Lara Stone! Laura Harvey wore a stunning Carla Zampatti dress shown in picture no. 2. Laura & Dean Harvey’s wedding shot in Noosa was also featured in the Spring 2011 issue of Queensland Brides magazine as a ‘Real Wedding’.